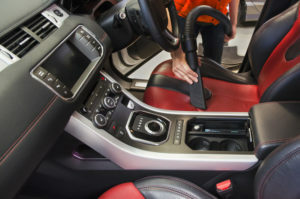 Let us make your vehicle have that “New“ look! 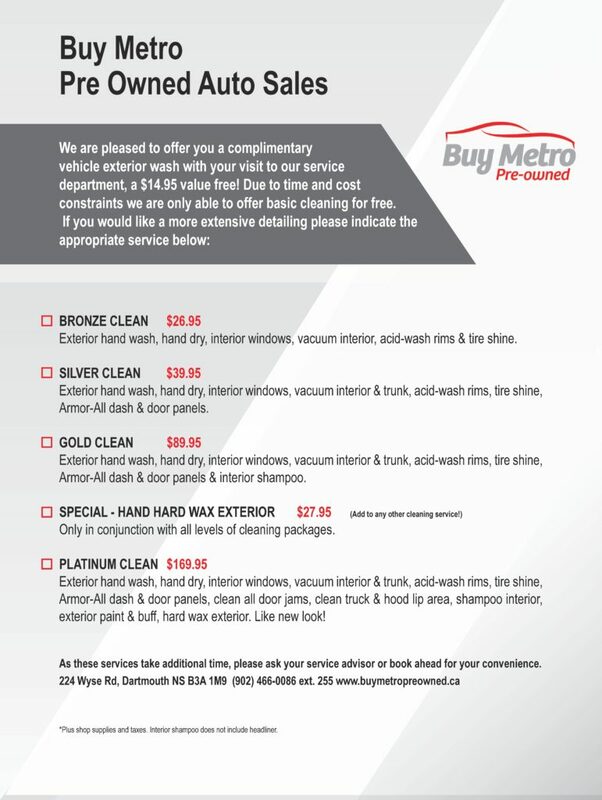 Buy Metro Pre-Owned Auto Sales reconditions over 50 vehicles each month to prepare them for sale. 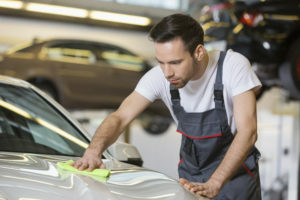 We have many years of experience in the Technics; the proper materials and equipment to get even the dirtiest vehicles look like new. Whether you want a quick wash and vacuum or a full detailing inside and out, we have a plan to suit you. Just click on the link below to get details. It is a wonderful feeling to drop off your vehicle and pick it up with a sparkling new look inside and out. 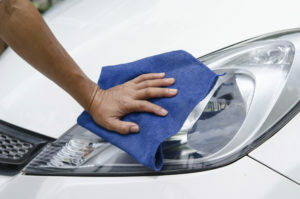 To make an appointment, click on the “ Book a Detailing “ tab, e mail or call us.